St. Augustine, Florida. January 26 , 2019 . 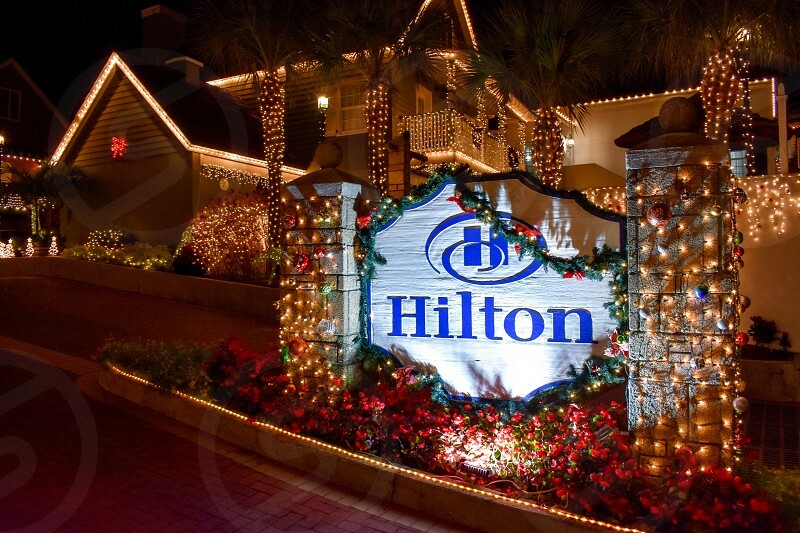 Illuminated Hotel Sign for Christmas season at Old Town in Florida's Historic Coast .